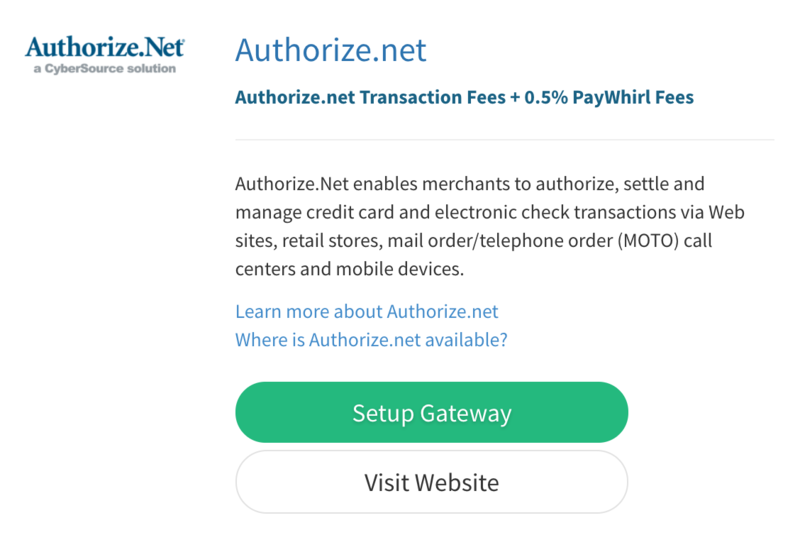 You can connect Authorize.net as a payment gateway in your PayWhirl account to process recurring payments and store customer credit cards. To process LIVE payments with PayWhirl you must connect a gateway to your account. PayWhirl supports a few different payment gateways and Authorize.net is available on any of our PAID plans (pro, plus or ultimate). Click "Setup Gateway" (or edit if you have already linked your authorize.net account) and fill out the fields with information from your authorize account. IMPORTANT NOTES: The "Secret Key" field can usually be left blank and is not needed for most installations. Also, make sure to set test mode to "No" before you save. CVV requirements vary depending on the merchant's settings with us. 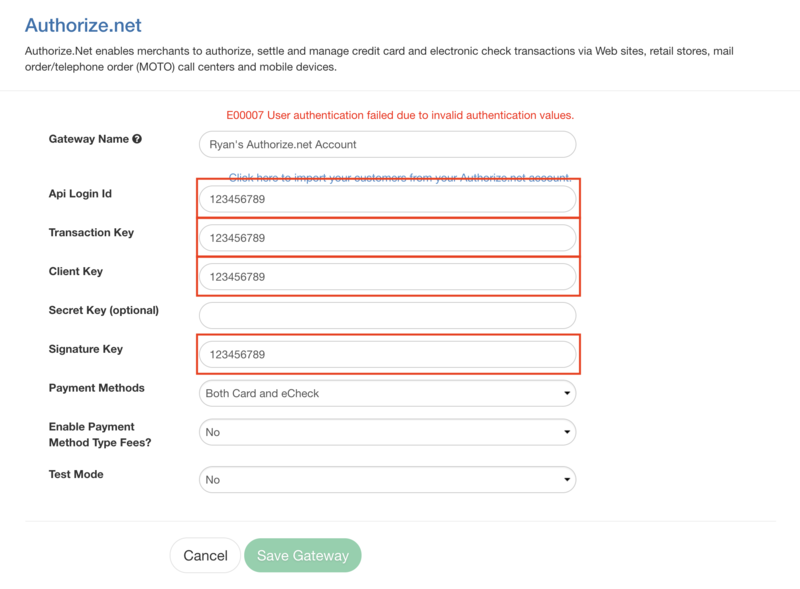 At a minimum, we require the card number, amount, and an expiration date for a transaction - CVV being sent is determined by whether or not the merchant is requiring it as part of their security settings within the gateway, or whether the third party software/shopping cart is requiring an entry to submit it to us. For card on file, the initial charge may be authorized and CVV checked, but for future transactions via a token and our CIM service, CVV is not part of the transaction process. So, double check your merchant settings on whether or not they are requiring it with every transaction. You can also reach out to developer@authorize.net for specific integration questions. Finally, when you're ready to go live, just make sure that any WIDGETS in your PayWhirl account are set to use your LIVE AUTHORIZE GATEWAY (they will typically be set on the PayWhirl Test Gateway by default and need to be changed to your LIVE gateway once you're ready to launch).